Tesla Model 3 cars come with secret cameras that watch the DRIVER … Is this vehicle a SPY tool? There are two massive transformations taking place simultaneously in the automotive industry. The development of eco-friendly electric cars, and the push towards so-called “autonomous,” or self-driving cars, is taking the future of motor vehicles in an entirely new direction. While legacy automotive giants like GM are desperately trying to make the needed changes to catch up to the rapid changes in technology, Tesla is streaks ahead of the competition, at least when it comes to autonomous vehicles, and is set to dominate that market for the foreseeable future. The release of its Model 3 cars, which are capable of level two autonomous driving, has been met with great excitement, especially since it is predicted that fully autonomous (level five) vehicles will reduce the number of road accidents by as much as 80 percent. Nonetheless, there is a sneaky little detail literally hidden in the design of the Model 3 that is giving some consumers serious cause for concern. Not only can the Tesla Model 3 spy on the driver, but it can also record whatever is going on in the entire cabin of the vehicle. 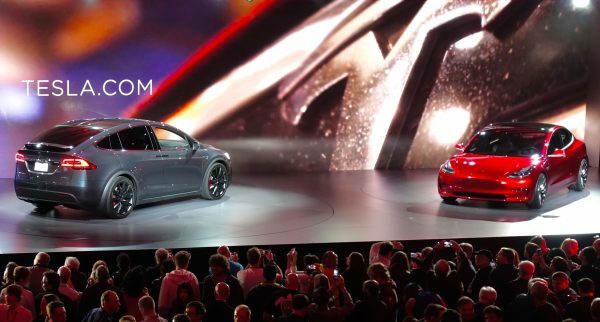 While the company has refused to comment on the presence of the cameras, except to confirm that they have not been activated, and will not become active until after future software updates, some, including the Mail, have speculated that the cameras are a nod to the future, where software updates could transform the Model 3’s level two capabilities to level three autonomous driving. Ultimately, Tesla and all other developers of autonomous vehicles are striving towards total level five capabilities. Since a camera would need to be focused on the driver at all times to allow for the transformation from level two to level three autonomous driving, it is likely that this is (at least officially) the reason for the “secret” cameras. Nonetheless, as The Sun noted, these little spy devices could become very useful in the future for insurance companies wanting to wiggle out of claims by using camera footage to prove driver error. And, of course, the very presence of a camera watching and recording every movement within the vehicle raises all sorts of privacy concerns.